← And What Should They Know of England Who Only England Know? I go for a delightful evening sail. I gently beat out to the reef and then run down into Shioya harbor. Things start getting out of control when I go aground just beside the two big rocks that jut out in the middle of the harbor. After much foolishness, I beat back home. The wind has got up and a big squall is coming in. Luckily I find a bottle of cold white wine in a freezer bag. I miss the mooring twice. Well, the second time I pick it up but I am going way too fast and am nearly pulled out of the boat. 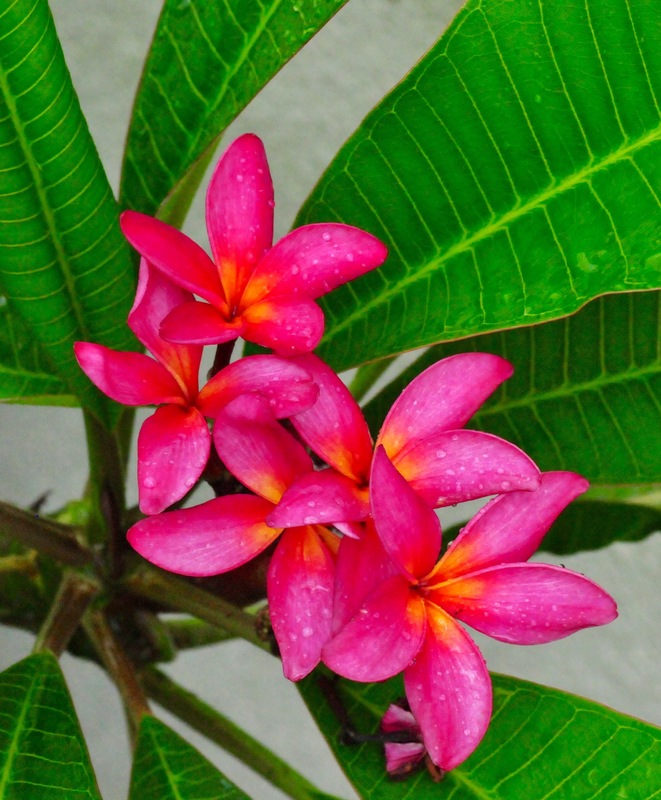 Plumeria goes from strength to strength. has given me lots and lots of cuttings. I now have 14 plumeria.